We all have grown up watching videos as a form of entertainment. Videos are fun, interesting and engaging. Every day more than 500 million hours of videos are watched on YouTube. 500 million hours! However technical the content is, watching it makes you understand it better than reading about it. Corporate organizations are using corporate training videos today; not to entertain their staff, but to educate them. Videos are considered to be the most efficient way to get the message across to your audience. They communicate through captivating visuals that hold the reader’s attention. This is what makes video training more effective than regular classroom training. 78% of people watch online videos every week, and 55% view online videos every day. If these numbers are to believed, enterprises would do well to deliver their training in the form of videos. Because today’s workforce is pretty video-savvy. Most of the online content that is consumed today is in video format. So, L&D teams must ensure that videos are part of their corporate training program. Once enterprises decide to leverage the power of videos to train their employees, they must find a suitable medium to deliver this content. Merely creating a corporate training video would not suffice. It must reach your target audience, i.e. your employees, and effectively convey the message. 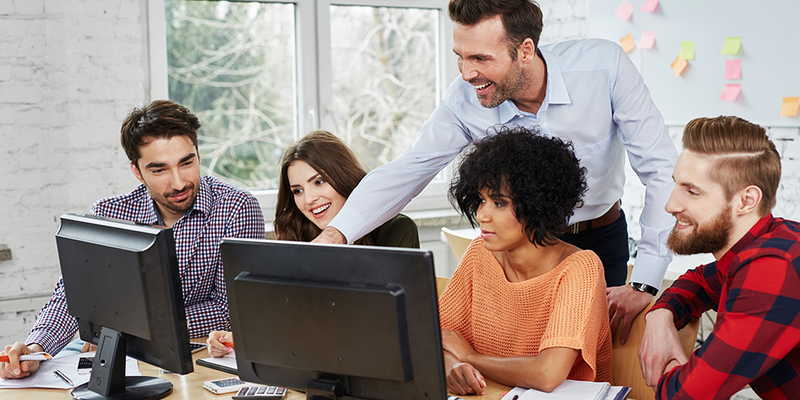 An effective corporate training program is essential to upskill your workforce. The term webinar is an amalgamation of ‘web’ and ‘seminar’. It’s basically an online seminar which is attended by multiple people. It is a cost-effective way to deliver training to a large number of people who are spread across the world. Webinars are also known as web seminars, web conferences or webcasts. The trainer or the host can deliver training to people who are located at different places. It also allows employees to interact with the trainer by way of polls, chats, asking questions etc. The participants are able to see a video of the trainer talking on screen, or a slideshow or screencast on the trainer’s screen. With enterprises coming up with offices at different locations, it would seem impractical to keep sending employees across offices for training. The most practical and cost-effective way in this scenario is to conduct webinars. With a webinar session, you can have all the employees at their workplaces and connect all of them in real-time. Take a look around you, you’d find at least a couple of people looking into their mobile devices. People have a habit of checking their phones very often. Tablets and smartphones are everywhere. Mobile devices accounted for 58% of all videos watched globally. Using mobile devices as a medium to deliver corporate training videos will guarantee employees’ attention, provided it is a well-made video with quality content. Designing corporate training videos for mobile devices enables your employees to watch them anywhere and anytime, even outside the workplace environment. The only thing you need to keep in mind while developing these videos is that the format should be compatible with all operating systems and the audio and picture quality must be really good. Mobile videos are designed mainly for quick viewing, and so they must be short and to the point. Your employees won’t enjoy watching lengthy videos on their phones and tablets. You might ask why do employees need an instructor if there is already a detailed training video available. While an instructive video such as a ‘how-to-video’ or a ‘demo video’ might give the employees the knowledge of how to perform a particular task, it might not necessarily be sufficient for an employee to understand the technicalities. People do understand things by watching, but having someone to explain it further proves helpful when it’s a complex subject. Using videos in a classroom ensures that employees can ask the expert or the corporate trainer in case of any doubts. The instructor can then immediately solve their queries and provide appropriate explanations. While videos viewed on mobile devices are short and to the point, there are certain videos that are quite long and would take well over an hour to view. It might not be comfortable for your employees to watch such lengthy training videos on mobile based devices. You can make these videos available to view on a laptop or a PC. These videos can be rendered in a classroom style training or you can allow the employees to watch them at home or at their workstations. These are detailed videos that are quite explanatory in nature. Such long-form content is best viewed on a desktop device. Using augmented reality for corporate training provides employees with a better understanding of the concepts. It brings real-world objects to life with the help of computer-generated 3D graphics. AR videos can be viewed only on AR-enabled platforms such as Kitaboo. Employees can use an AR-enabled device and point at an object to discover enhanced content. It empowers your employees to actively engage in the training process. You can use AR videos to explain concepts that range from simple to complex. Learning in an augmented environment generates interest among the employees and they would retain most of the things that they learn. As they are not just watching the content but are also interacting with it, giving the learners a much more engaging learning experience. 55% of people pay close attention while consuming videos, more than all other types of content. So it is safe to say that providing your employees with video training content will hold their attention and keep them engaged. At the end of the video, you could include an interactive quiz. A quick follow-up after a video will ensure that the information is properly understood by the learner. As an enterprise, you must decide the most efficient and cost-effective medium to deliver training to your employees. A video is an effective mode of making people understand things quickly. Viewers retain 95% of a message when they watch it in a video format, compared to 10% when reading it in text. Video-based training will definitely help your workforce to develop and enhance their skills, increase productivity and contribute to your organization’s revenue.